Beautiful old building, well equipped, good heating. Helpful owner. Near everything. 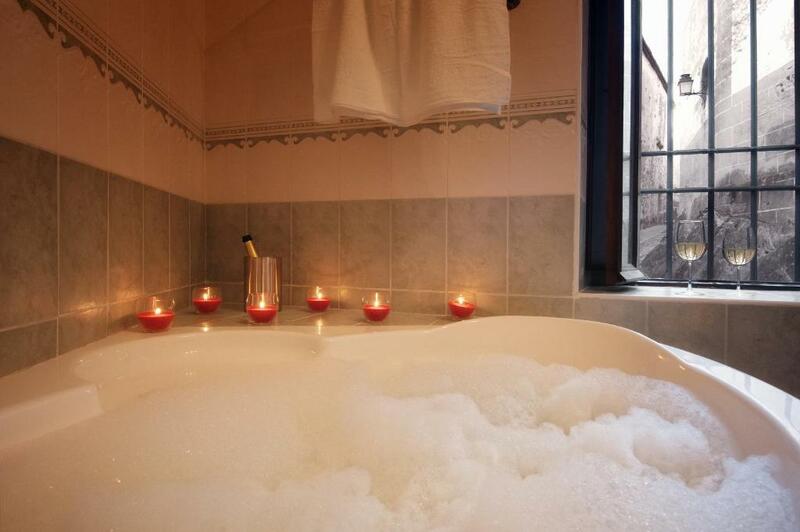 Great spa bath. Very secure and quiet Parking near by at 12€ a day. Owner took us to the parking. Tapa bar just around the corner. Good tour buggy to get around the old town available just off the Plaza Mayor good as I find walking a chalange. This apartment’s location is its best feature. The main double bedroom was comfortable. Location, in the Centro Histórico was ideal for all that Cáceres has to offer. The host was really nice. He picked us up from the bus station &, because he wouldn't be available to drop us off there when we were to leave, he refunded us 20 euros for a taxi, plus booked the taxi for us; amazing service. 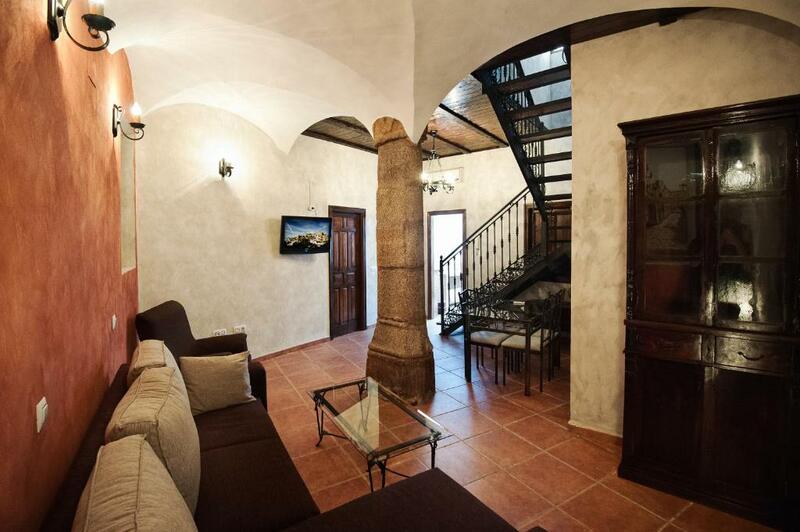 Fabulous location in the heart of the medieval old town of Cáceres. The house was in the old style which was a lovely experience and also nice and cool in hot weather. A modern touch to the facilities was a lovely spa bath! The owner Hector was so kind and helpful, even collecting us from the train station and dropping us back there when we were leaving. It was very hard to say goodbye to such a beautiful old city. Cáceres really is somewhere you could spend much more time than the five days we had as there are so many things to see there. Loved it! The location was brilliant with the most amazing tapas bar seconds away. The apartment is part of a very old building and is very quiet. The owner was very helpful, guiding us by car to nearby parking. 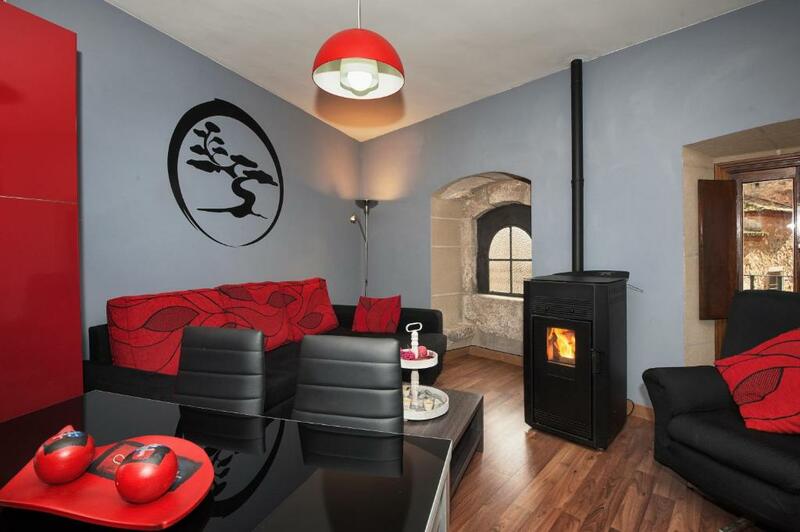 This spacious apartment in a converted palace has old-fashioned charm and atmosphere with domed ceilings, wood stove, wrought iron staircase and light fittings, as well as convenient facilities. The location is perfect just inside the old town but only 5 minutes walk to Plaza Mayor and many shopping and tapas streets. Hector was very helpful in picking us up and returning us to the station. La amplitud que tenía los apartamentos. 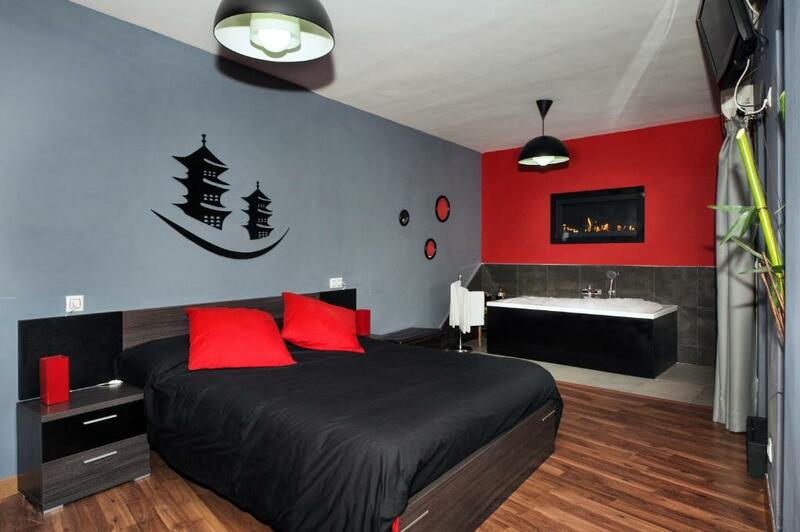 Y el jacuzzi que tenía el dormitorio + plato ducha con hidromasaje. La bañera de hidromasaje. Y la cocina totalmente equipada y nueva. me encantó llegar al apartamento y encontrarme con la estufa encendida y la sensación de confort al entrar. El anfitrión muy amable y nos dio toda clase de facilidades y recomendaciones. El apartamento dentro del casco antiguo y al lado de plaza mayor y tb el centro a un paseo andando. Me fui encantada. Jättetrevlig och hjälpsam värd som hämtade och lämnade oss på tågstationen. Läget var förträffligt i den gamla staden. Mysig pelletskamin som gav skön värme. Lock in a great price for Apartamentos Turísticos Cáceres Medieval – rated 8.7 by recent guests! One of our best sellers in Cáceres! 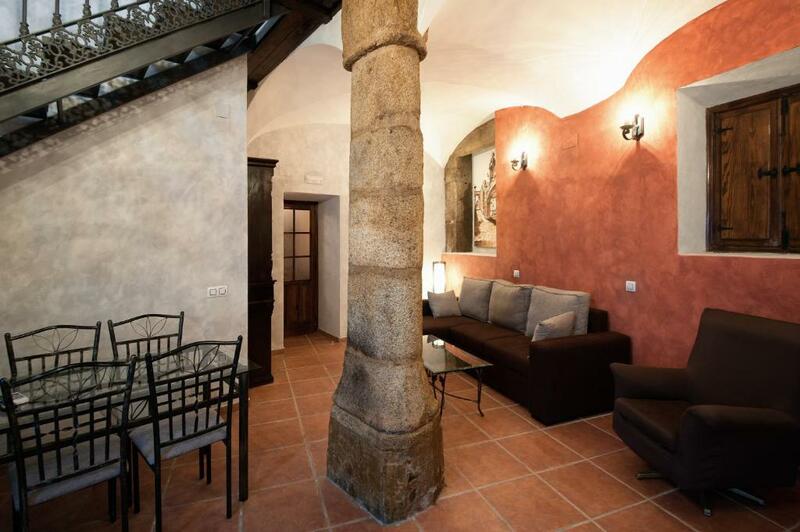 Set in an 11th-century restored building, Apartamentos Turísticos Cáceres Medieval is located in the historic center of Cáceres. The property offers modern apartments with air conditioning and free Wi-Fi. Each apartment features a living room with a sofa and flat-screen TV. The kitchen or kitchenette is equipped with an oven, ceramic hob and washing machine. Some of the apartments feature a spa bath, a balcony or a patio. A large variety of bars and restaurants can be found within 5 minutes’ walk, as well as some shops and supermarkets. Cáceres old town is an UNESCO World Heritage Site. The most famous monuments, including the Santa María Church-Procathedral or Casa de Las Veletas, can be visited within 650 feet of the property. Cáceres Train Station is 1.2 mi away. When would you like to stay at Apartamentos Turísticos Cáceres Medieval? Featuring a patio, this air-conditioned apartment has a living room with a sofa and flat-screen TV. The kitchen is equipped with a dishwasher, oven and ceramic hob. The private bathroom includes a spa bath. Featuring a balcony and wooden floors, this air-conditioned apartment has a living room with a sofa and flat-screen TV. The kitchenette is equipped with an oven, ceramic hob and washing machine. The private bathroom includes an hydromassage shower. Es una casa de dos plantas rehabilitada recientemente sobre una construcción del Siglo XI. Ubicada en una situación inmejorable, en pleno corazón del casco histórico cacereño; consta de dos plantas, cada una de ellas es un apartamento totalmente independiente con su propio acceso desde la calle y que tienen además la peculiaridad de estar comunicadas entre sí por el interior, lo que permite estancias para grandes grupos. 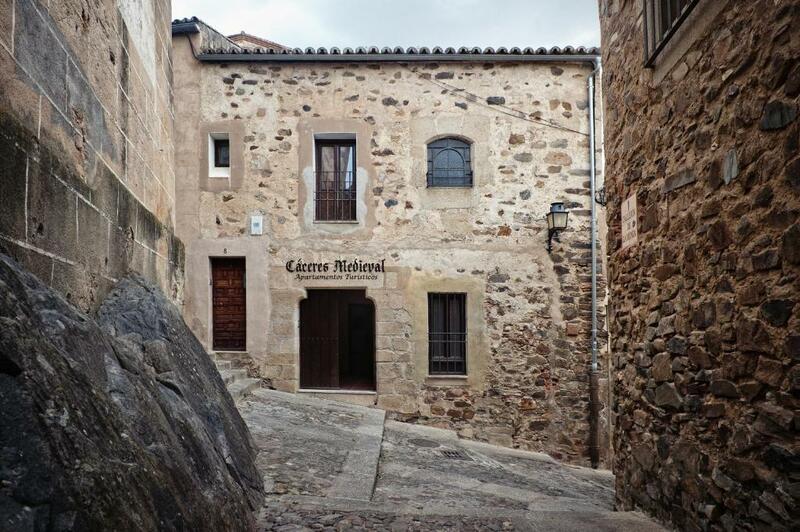 Mantiene elementos originales de la antigua casa y está dotada con todas las comodidades para hacer de su visita a Cáceres una experiencia inolvidable. 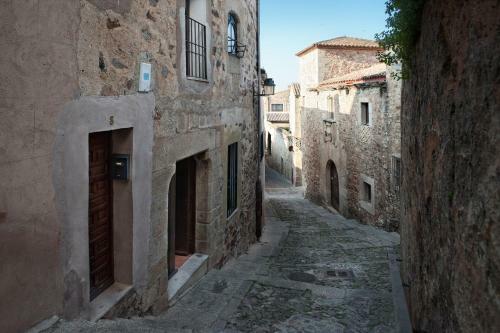 La ciudad Monumental de Cáceres fue declarada Patrimonio de la Humanidad por la Unesco en 1986, ya que es uno de los conjuntos urbanos de la Edad Media y del Renacimiento más completos del mundo. House Rules Apartamentos Turísticos Cáceres Medieval takes special requests – add in the next step! 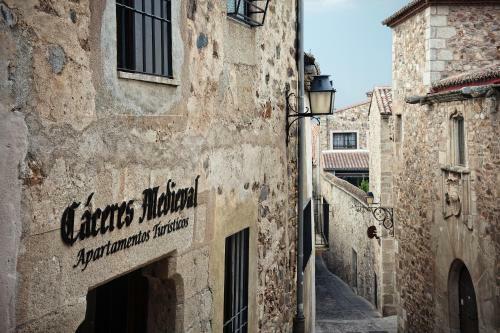 Apartamentos Turísticos Cáceres Medieval accepts these cards and reserves the right to temporarily hold an amount prior to arrival. Stale smell of damp and plaster falling off walls in lounge, bathroom and hall. Doors wouldn't close due to effect of damp. Door to outside courtyard didnt fit and allowed mosquitos into apartment, despite spraying repellant. No kettle in kitchen and many lightbulbs didnt work. Sofa bed was very old and smelled but was the only seating. Of course with such an old building, there is little natural light. However, it would be very cool during summer. For those who prefer a shower, the low wall-fitting over the spa was not really adequate. This apartment has only a bath and an awkward hand shower attachment. Not really a great option if all your guests need a shower. The sofa bed in the lounge area is quite uncomfortable as bed. The apartment floors were very dirty, as was the terrace. The apartment is quite dark with no windows or views. The internal lighting was un romantic and the TV stuck on one network only. Some light bulbs needed replacing. There was a noisy bar/nightclub 100 metres down the street. Really loud music Friday & Saturday nights until 3.30am.